Goods have to be packed before shipping. Packing plays an important role in the variations in shipping cost. Employing the right packing method in your store will reduce the cost of shipping. At the same time, not paying attention to packing will skyrocket your shipping charges. So, how do we pack efficiently? What are the best parcel packing methods available in WooCommerce? The one-stop solution for all your packing related worries is the PDF Invoice & Packing Slip plugin for WooCoomerce by WebToffee. This plugin provides three parcel packing methods for its users to choose from. This article will help you learn different packing methods and will help you choose the right parcel packing method for your store. After the installation of the plugin, WooCommerce > Invoice/ Packlist > General > Advanced options. Here is the screenshot of the opening page. 1) Pack Items Individually: Allows you to pack each item in the cart separately. Total Shipping cost is calculated by adding shipping cost of each item. To define a new box size, click the Add Box button. 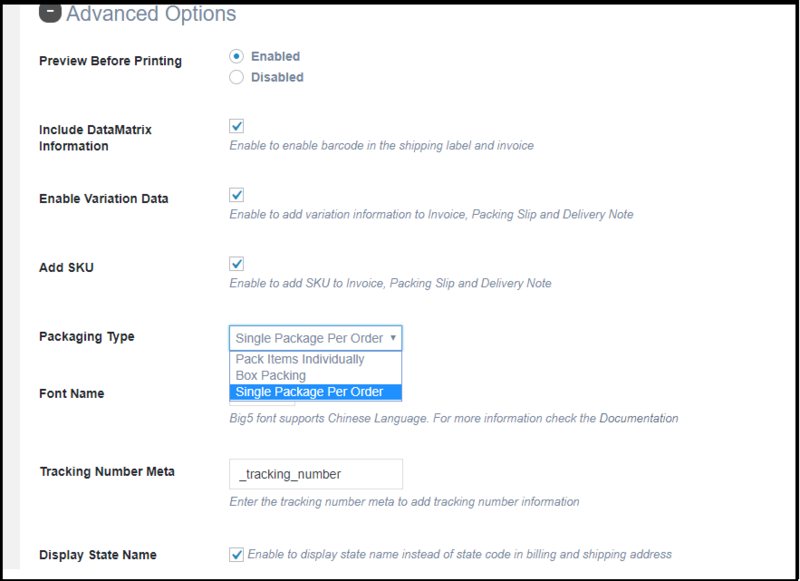 All cart items are packed into custom boxes defined in Box Size settings. The best fit box is chosen automatically from the defined boxes. This box dimension and weight settings are applicable only when Box Packing is selected. Based on your requirement, you can enable or disable a particular box using the checkbox under the Enabled column of the respective box rule. For more information about box packing, see How to configure Box Packing to Print Label & Packing List using Print Invoice, Packing Slip, Delivery Note & Label Plugin.